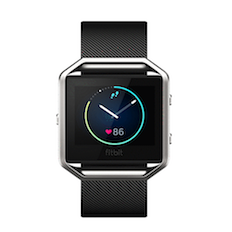 Alive Again: Fitbit Blaze Smart Fitness Watch Now Only $99 + Free Shipping! Update 04/08: Alive Again in Plum/Purple (large) and Black (small). Fitbit Blaze Smart Fitness Watch Now Only $99 + Free Shipping! Get fit in style with Fitbit Blaze™—a smart fitness watch designed to help you maximize every workout and every day. Use fitness features like PurePulse™ continuous heart rate, multi-sport tracking, Connected GPS and FitStar workout on your wrist. Automatically track your activity, exercise and sleep. Stay connected with call, text and calendar notifications. Customize Fitbit Blaze with a variety of watch faces or accessorize with bands and frames. 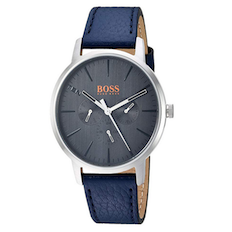 It’s everything you need for fitness and style—all in one sleek time piece. 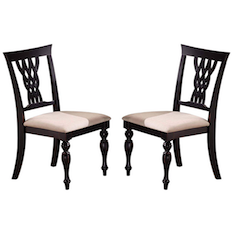 Set of 2 Hillsdale Furniture Embassy Dining Chairs Now $76 After $75 Price Drop at Amazon!